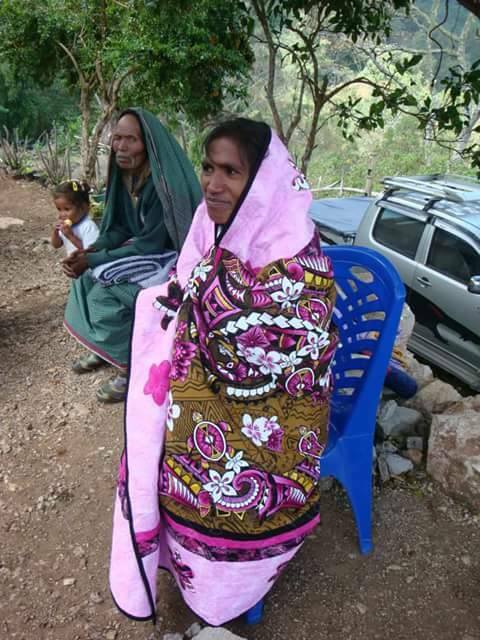 In 2014 my husband, Paul & I went on a “Light up” Tour with Timor Adventures to the Villages of Lena & Buibela to help install solar lighting to some of the homes. Whilst there I started talking with Rosalina, Head Woman, about craft and she showed me her lovely crochet and I showed her photos of some of my quilts. 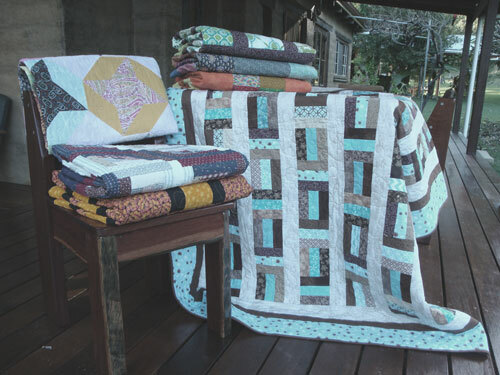 Being totally addicted to quilt making I always have photos of my latest quilts on my phone! Rosalina loved them and called some of the other women over to look at the photos and they also seemed to love them. 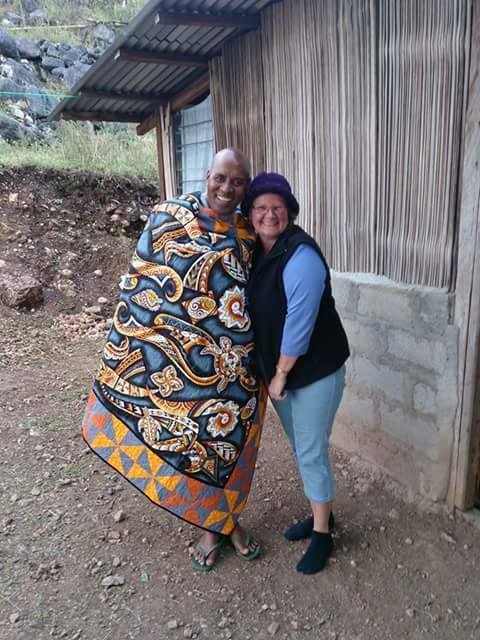 This grew an idea – as it was very cold in their village I decided to make a quilt for every house (there were 30 houses). This seemed like a good idea to me as it was something beautiful and practical, however I did check if it would be appropriate with Alto Pinto, who was one of our guides as it was his home Village – he agreed that it was a great idea. On our return home to Grafton, NSW I discussed this idea with my Patchwork class and everyone became very enthusiastic. My Patchwork Teacher, Sally, volunteered to do the quilting on her big quilting machine; Patchwork friends from The Quilters Coop in Cowra, NSW sent donations of fabric; The Jacaranda City Quilters donated a quilt; my friends Gail, Mary & Lynne made a quilt each; Sally, not only quilted them all but made 2 quilts and her Mum, Rae made 3 quilts; the local Fabric shop, Grafton Textiles, gave a generous percentage off of any fabric bought for a Timor Quilt; other friends also donated money toward buying fabrics, wadding and threads and the local Lions Club donated $100 toward transport costs. Also my dear husband, Paul, coped with me sewing constantly for 7 months to get 22 quilts made. 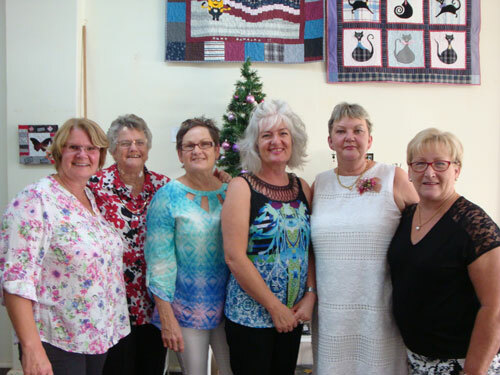 We held a quilt display to raise some money toward the cost of transporting the quilts to Timor-Leste, which raised around $270 and a fun night was had by all. 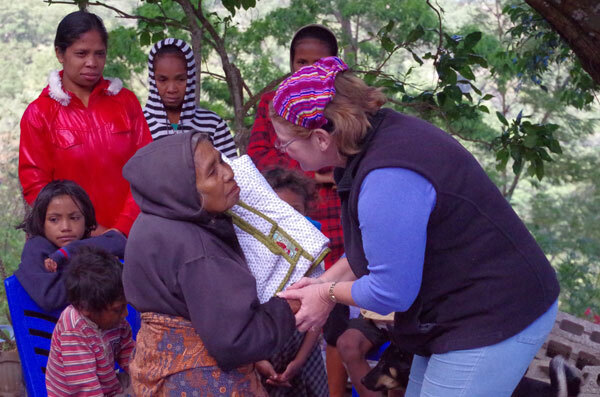 In August 2015 thanks to Shirley & Dave from Timor Adventures and Alto who drove us to his Village and facilitated our 2 day stay, we delivered the 33 quilts to the Families of Lena and Buibela and what an emotional time – there were tears all round. 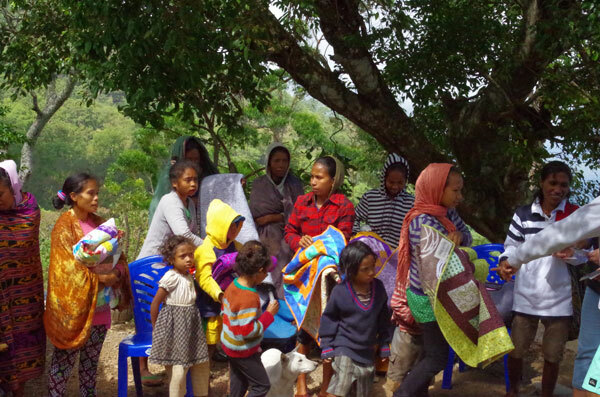 They all seemed to love their quilts and that night it was very windy, rainy and cold and next morning the Villagers reported that they were very happy because they were warm under their new “blankets”. I feel so privileged to have been able to be involved in something that has been a benefit to these lovely people. Big thank you must go to Timor Adventures for enabling these amazing tours and Alto and the people of Lena & Buibela for being so welcoming and making us feel a part of the Village.